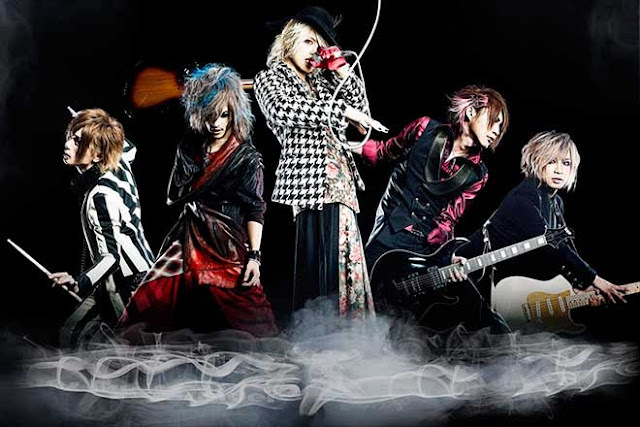 D=OUT - New Drummer + New Releases | VKH Press – J-Rock & Visual Kei Coverage Worldwide! D=OUT has some good news for their fans! Their first announcement is that they finally have added a 5th member to the band! After the departure of drummer Minase back in September 2014, drummer Naoto (直人) recently joined the 4 other members. Previously known as ena from xTRiPx, the drummer officially joined D=OUT on August 8 at their one-man live at TSUTAYA O-West. Next, D=OUT announced two new releases for this year! The first release is a new single called Koi ga Dekinai (恋ができない). The single will be on sale October 28 in 3 types. Limited Edition types A and B will both cost 1944 yen and will have a CD with 2 songs and DVD. Regular edition will cost 1574 yen and will have a CD with 3 songs. Also, in 2016 the band will be releasing a new full-length album titled Shin・Gi・Tai (心・技・体). Further details about the album will be announced at a later date.